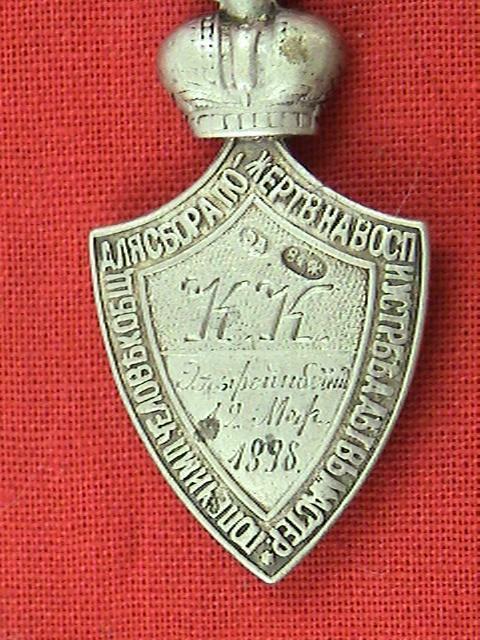 1898 Imperial Russian silver award jetton / badge. As awarded by the Imperial Philanthropic Society for Vocational Education of Poor Children. 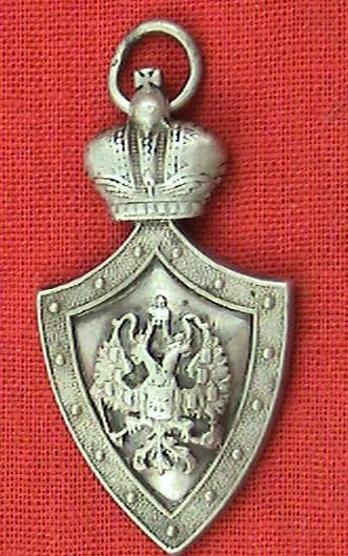 Silver, (2) piece construction. 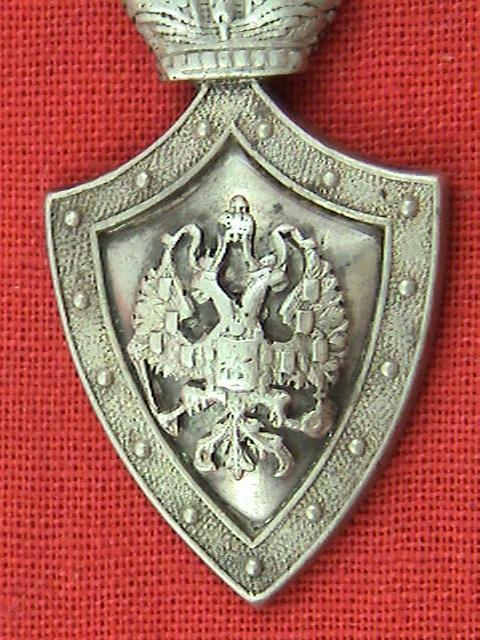 Double-headed eagle attached on obverse. Crown suspension with silver connecting link. Measures 40.43mm x 21.70mm. 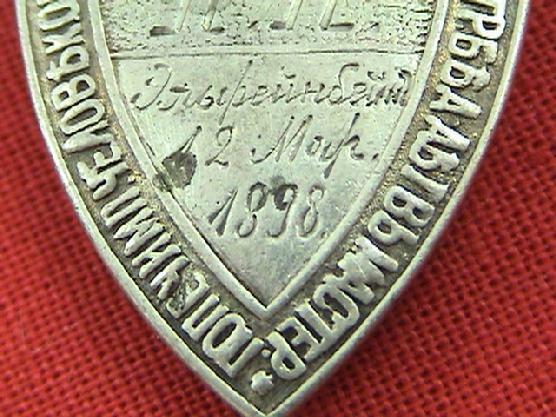 Reverse is hallmarked for silver content "84" and symbol for St Petersburg as well as two Cyrillic initial maker mark. 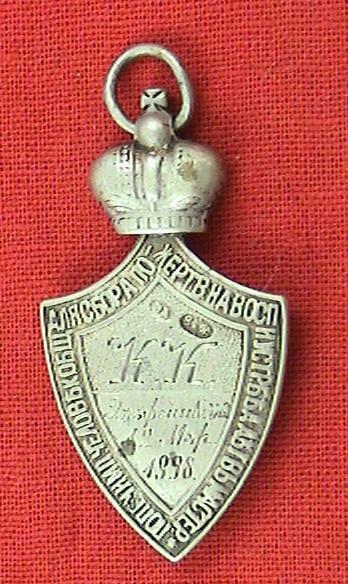 "E.D".Central plaque is engraved to the recipient name " K.K.Elfenbeyn",along with date of March 12, 1898. 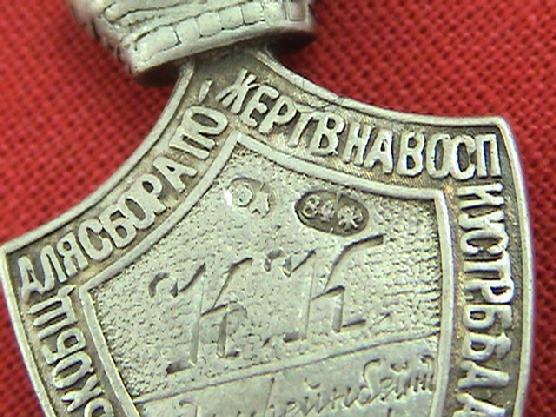 Slightly toned silver jetton has worn details on the eagle & crown. Overall in very good condition.